It is only 5 months since I gave birth to my precious baby. It feels only yesterday I held him in my hands for the first time and looked into his eyes. With him, every moment was a source of joy. I named him 'Jishnu' which means victorious. It is natural instinct for a mother to wish that baby be happy and successful throughout his life. Even before I could fully experience the joy of motherhood, my world turned upside down. 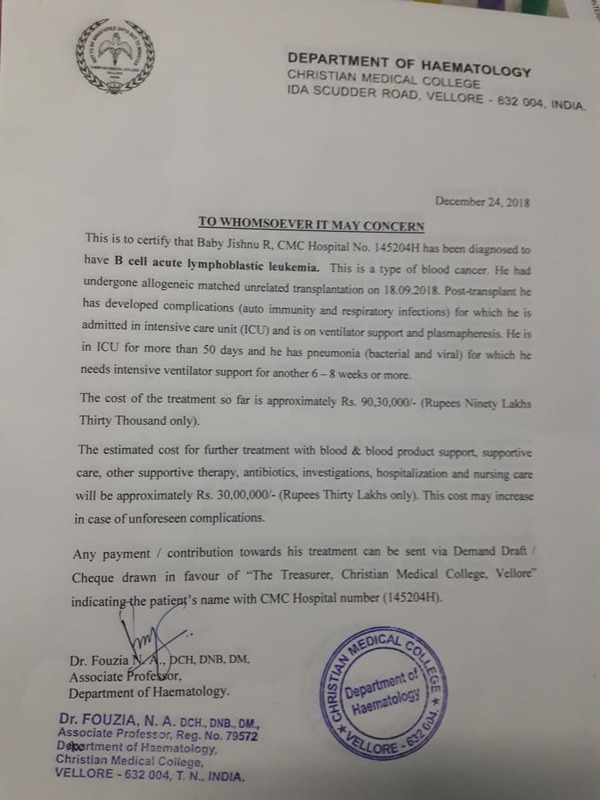 I do not want to say these words but, my 5-months-old baby has blood cancer. 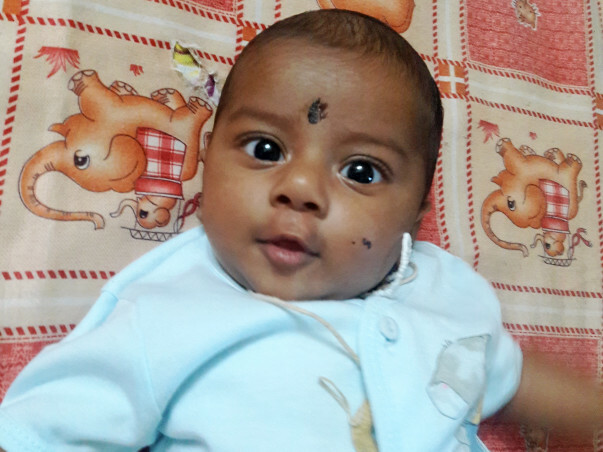 Jishnu was perfectly fine when he was born. He became sick when he turned 5-months-old, he had no appetite and looked very pale. Very soon, he turned very paler and weaker. I took him to a local hospital. Just by looking at him, doctors knew he had something serious. They asked us to take him to a bigger hospital. The blood test reports broke our hearts - our baby had cancer. I kept saying, 'No, it can't be,' but I immediately went to the next step - get him treated. I have never felt so scared in my life. I'm thrown into a completely unknown world. I want to take care and protect my child at any cost but I now feel helpless because the care of my child is out of my hands. I had to completely trust the doctors and nurses to look after my little son. The treatment has started, and it is more painful than the disease itself. My son's little body is undergoing grueling chemotherapy every day. He can't even express his pain. The painful journey has just started and there is a long way to go. 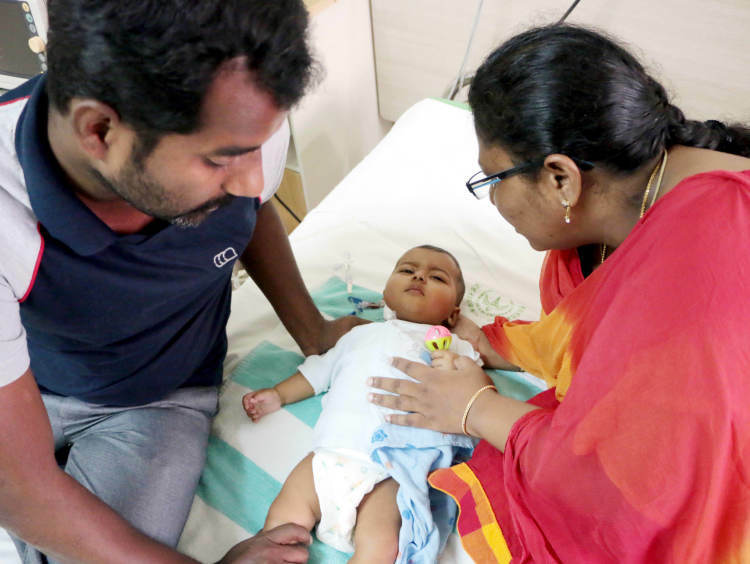 Jishnu needs a stem-cell transplant to recover completely from cancer. 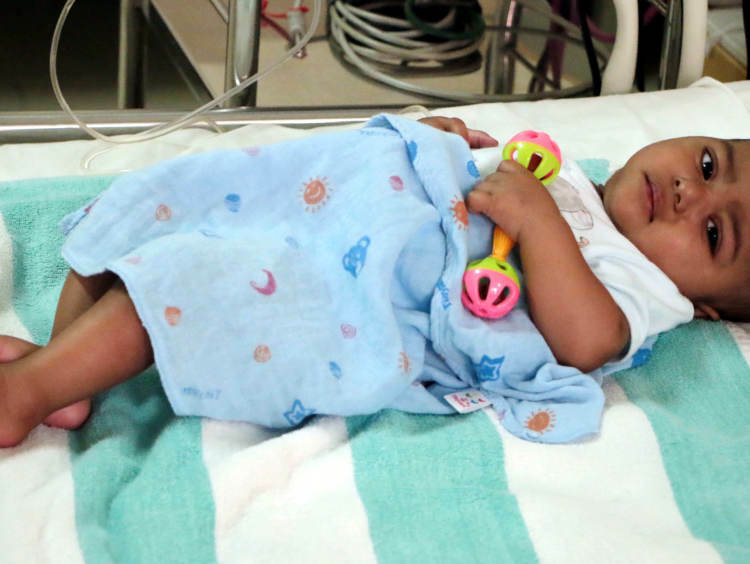 Jishnu has not yet seen the world outside the hospital, but has started fighting for his life. Despite painful injections and medication every day, he still smiles! It is his smile that makes me go in life. I have nothing to hold on but the smile of my baby. What else can give me hope? Life has a cruel sense of irony. My husband joined as a doctor in government hospital just two months back hoping to cure the needy. Little did we know that our own baby will also become an unlucky one - desperately looking for a cure. His father is running around desperately trying save our baby. We have come to CMC Vellore, all the way from Coimbatore for my his treatment. Doctors are hopeful that he will recover if the treatment is provided at the right time. I'm sure my Jishnu will fight like a hero. He will come back healthy, he cannot leave me. I will not let him down. Jishnu is brave and will continue to fight but what am I going to do to help him? It is not just my love and support that is needed, treatment requires money. It is not just a few thousands, that we can eventually earn. 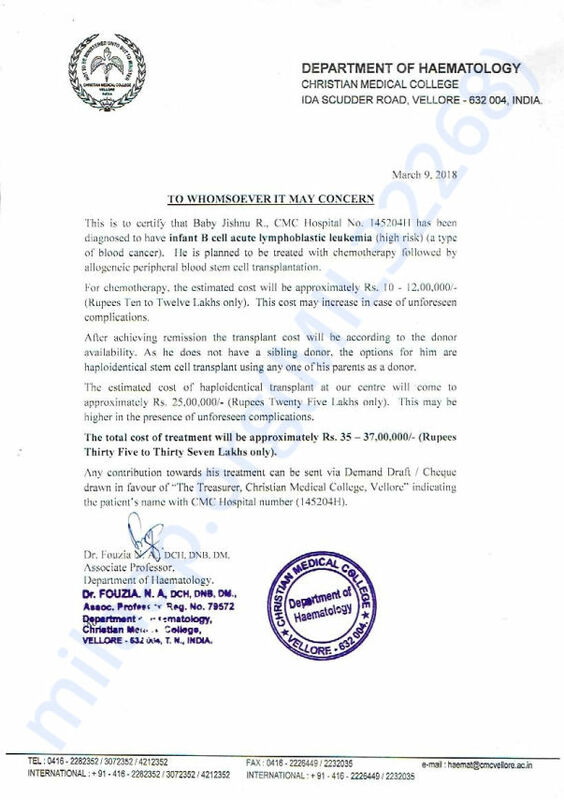 We need Rs 37 lakhs for treatment. I have sleepless nights thinking about this one thing. We have spent all that we had. I have sold all my jewellery and have nothing else to sell. How am I going to manage this? I can't imagine losing my baby. He deserves a life. I hold him tightly and I keep telling him how much I love him and how much I need him. The idea of failing this innocent baby haunts me. I'm completely relying on the strangers to help my son. His treatment is very important and inevitable. He will not make it without this. I do not have one paisa left. With your support, he can live. I'm hoping to take him back home and give him a happy life. Your contribution can help him to have a life. I am grateful for all the blessings showered on my baby Jishnu! Again, I would like to thank you for all the support. I request you all to continue praying for his speedy recover and continue sharing the campaign so that my boy can have another chance at life. Thank you for your love! My son jishnu is still in ped.ICU ..All pray to god for quick recovery..lungs now improvement present..he had once shock liver...LFT elevated...in CMC icu in separate isolation room with separate staff to take care because of post transplant ALL..no spread of infections...all culture shows no growth. ..improvement in platelets..single room with ventilator machine so everyday cost high. ..please pray for my child. Thank you for the wonderful support. My baby Jishnu transplant was done and after that he was free of cancer. 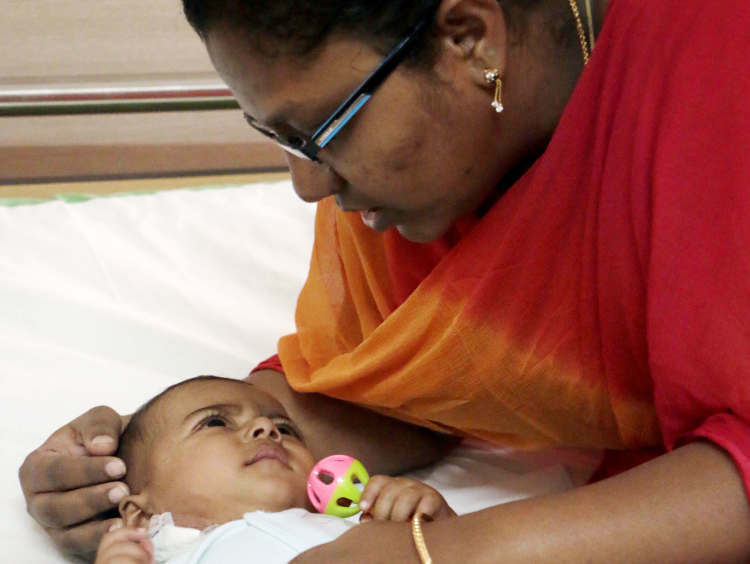 On the day of Deepavalli he had sudden difficulty in breathing and went to the hospital CMC. Blood tests show all counts have decreased. They gave blood and other fluids and he developed complications which resulted in an acute lung injury. Now he is on ventilator machine in pediatric ICU struggling for his life. The treatment is very expensive, please help me. Please do share this campaign and help us in raising funds faster towards his treatment. God bless you. Good luck Jishnu.